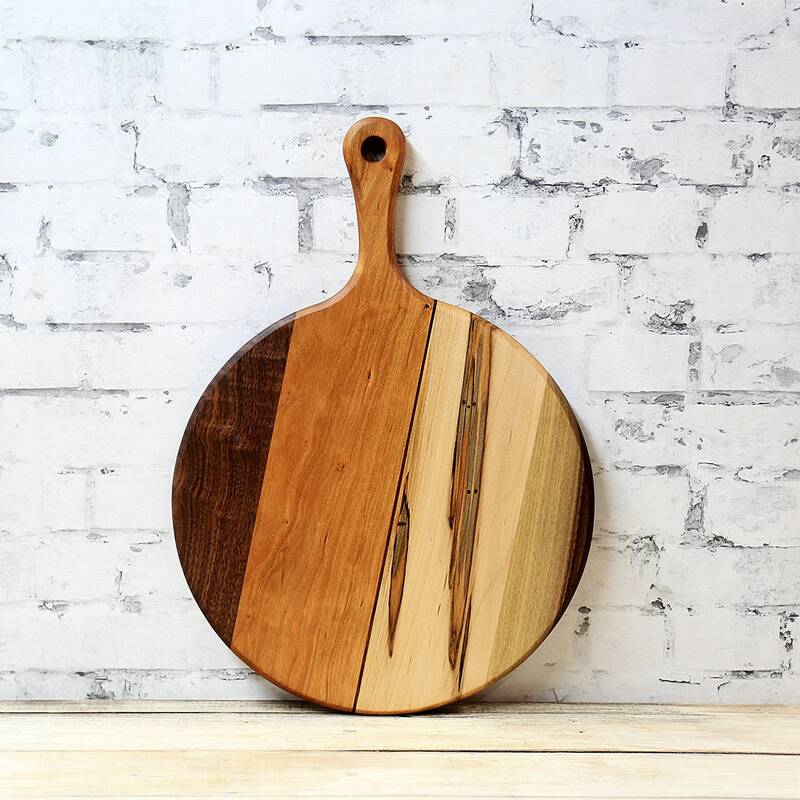 You will receive the cutting board in the photos. 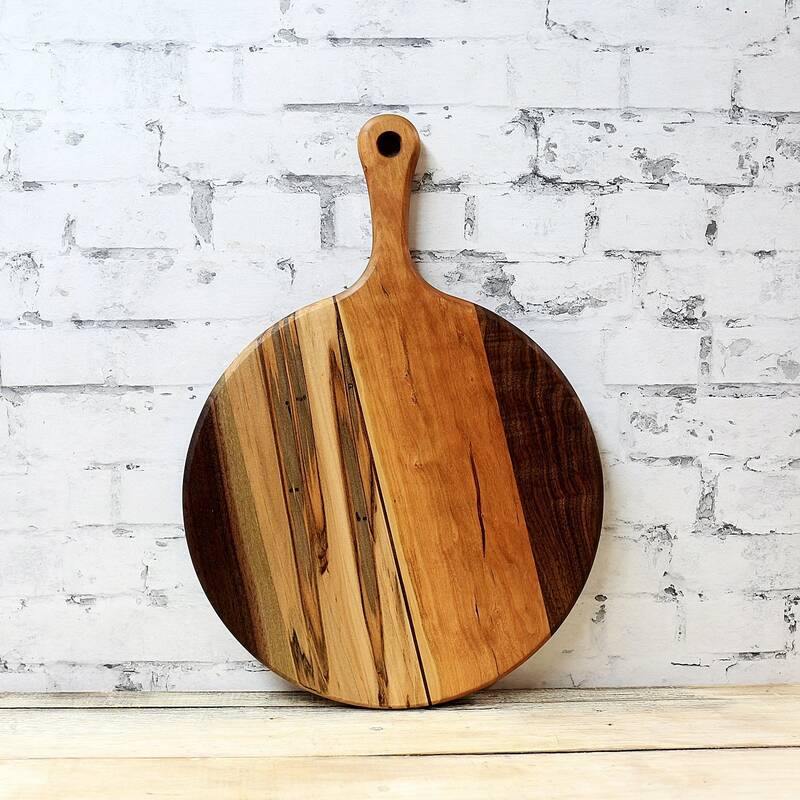 This cutting board is made from ambrosia maple, cherry and walnut wood. The sanding and finishing process leaves it with a smooth touch. The whole board is completely rounded on the edges, and it sports a small hole for hanging/display.